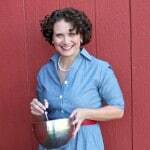 It’s easy to fall into a lunchbox rut, especially if your child is picky, and you’ve run out ideas for healthy options that aren’t between two slices of bread. 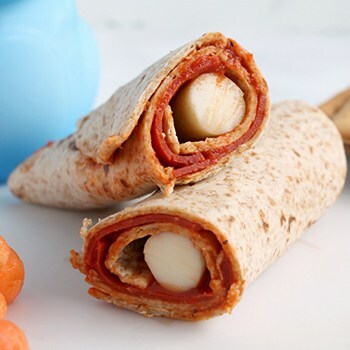 Instead of packing the same old PB&J sandwich, mix up your lunchbox routine with a protein-packed pizza rollup. Lunchbox Pizza Rollups are a breeze to make and will get kids excited for their midday meal. Whip them up in just five minutes on busy mornings, or prep the night before to stick in lunch bags on the way out the door. High-protein mozzarella cheese and turkey pepperoni will keep young students full and ready to take on the rest of the school day! These rollups can double as tasty after-school snacks, too. Kids will be surprised to find there’s a cheese stick hidden inside these rollups! Cheese sticks are one of my family’s favorite on-the-go healthy snacks. They’re easy to grab when we’re rushing to different activities and are great for road trips or snacking on in the car because they’re not messy. Mozzarella is one of the cheeses that’s highest in protein, and it also is full of calcium, phosphorus and vitamin A. Have trouble digesting lactose? Mozzarella is a great option to still get dairy’s essential nutrients because it has minimal amounts of lactose. For a little extra nutrition boost, try sprinkling in some fresh veggies, like spinach, red peppers or mushrooms, or switching out pepperoni for bacon, sausage or extra cheese. Lay the tortilla flat. Spread pizza sauce over the tortilla, starting with the center and then spread out to about one inch from the edge of the tortilla on all sides. Top the sauce-covered tortilla evenly with the pepperoni slices. Place the unwrapped mozzarella stick at one end of the tortilla, and then roll. Pop it into a sandwich bag or wrap with plastic wrap and pop into the lunchbox. Note: Feel free to make two of these to put into older kids' lunches.